My first taste of what was on offer for the Vita was the developer session for Tearaway, the upcoming title from Media Molecule, the team behind Little Big Planet. I had heard good things rumbling through the internet about Tearaway and thought that the developer session would be a great way to get a feel for what the game was about. In the session the team showed off a more up to date build that what I would later play on the show floor, and it looked very nice. It is set in a paper world which merges with our real world, where an envelope bursts into life as your Messenger in the game after your face takes the place of the sun and causes all kinds of chaos to ensue in the paper world. Being based on a paper world, a lot of the physical interaction between you and the game using the Vita’s touch screens actually makes sense. When you are walking over thin paper with enemies (Scraps) attacking your Messenger you can put your finger on the read touch pad and see it burst through the paper in-game. You can slide your finger around to move the Scraps away from your Messenger, or even jab them to get rid of them altogether. There are a few points in the game that the developers showed where the front facing camera will put your face in place of the sun. During the developer session the guys on stage had a wonderful time playing around with this feature, though when I was playing the game I largely failed to get my face in the frame. More due to the constraints of playing on a Vita securely attached to the booth and a poor sitting position on a stool. It was a shame that the version on the show floor was quite a bit older than what the team showed in their session as they showed off some of the really cool features that were playable, but which had been refined a hell of a lot. There was a moment in the demo where you come across a cute little squirrel wanting his picture taken after you make him a crown. This is done by tracing your finger across some paper to cut it into your desired shape while picking up other coloured paper to add gems and other fancy bits to it. In the demo I played there weren’t any options or filters when taking a photo, but the developers showed off a wide variety of special effects that you can buy with Confetti you collect in the game. 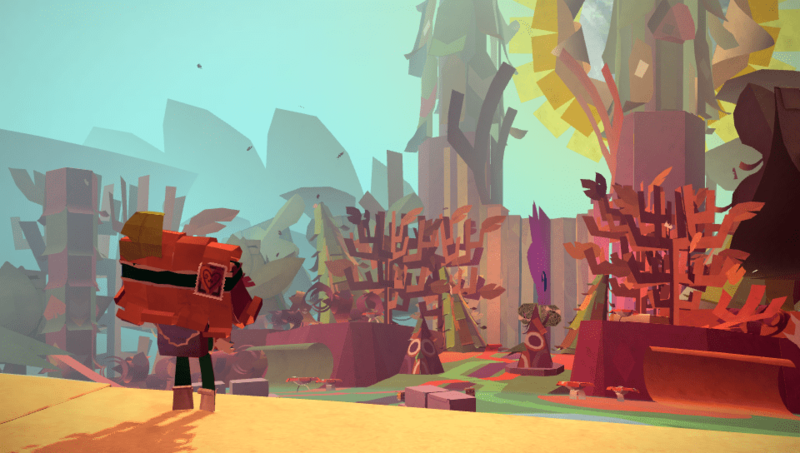 I was really impressed with what I saw of Tearaway, the physical interaction with the game world via the touch pads, the wonderfully crafted world and the sheer vision to make a game based on a paper world is brilliant. 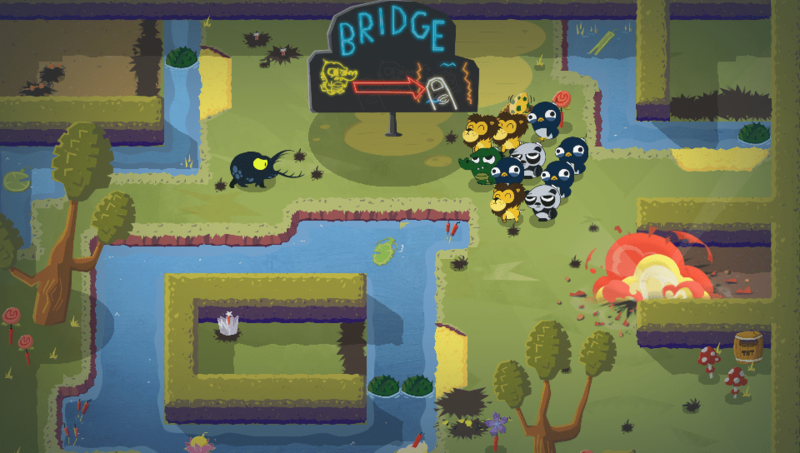 I managed to get some time with Super Exploding Zoo which looks like a riot, though probably fiendishly difficult. You control various zoo animals like lions, monkeys and penguins in an attempt to save an egg from being eaten by hungry beetles. How do you protect the egg? You simply swipe one of your horde of animals in the direction of the beetle and watch it explode. Different animals deal varying amounts of damage and you don’t want to find yourself left without any critters. You can grab more zoo friends to help you, some will be roaming the environment while others will be tucked up behind hedges. Hedges that you have to destroy by sacrificing one of your poor animals. While I was playing I thought it was onto a winner, I only had to grab one last group of animals to kill the evil beetle. The trouble? There was water blocking me from the fence that I could destroy. I had to send in my crocodile to form a bridge for my penguin, but alas, this was my last penguin. Without realising this I threw him at the fence, but without any other animals to send forth, I couldn’t wake the remaining animals I needed. Game over, but in just ten minutes of action I had seen a game full of character and life that was a pleasure to play. The exploding animals was quite a nice touch too. Right next to Super Exploding Zoo at the Vita booth was a game that I declared wasn’t my cup of tea back in June 2011. That was the PC version of Terraria which has been busy finding new homes ever since. The upcoming Vita version seemed a much more welcoming piece of work than the initial PC release. I picked it up at the start of the tutorial which went through the basics of inventory management, mining for ore and building your first home. I only played it briefly as I had a prior engagement that I had to make time for, but from what I saw, Terraria looks like it will sit quite well on the Vita. There were two other Vita games that I managed to get my hands on, and safe to say they were just as exciting propositions as the other three I had played. 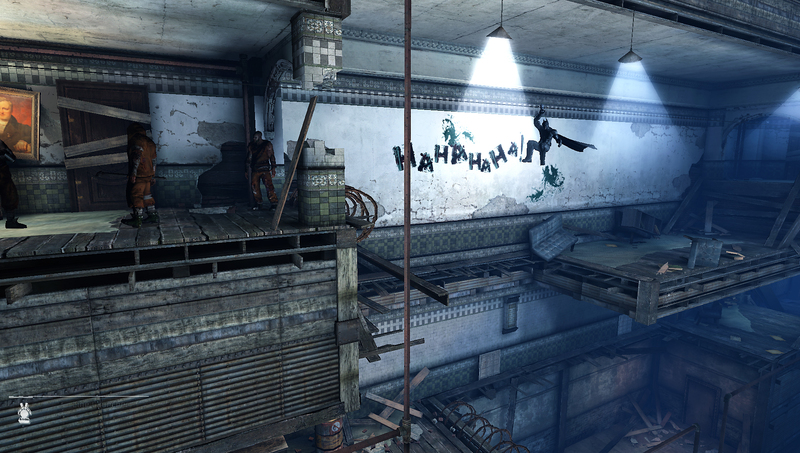 First is Batman: Arkham Origins Blackgate which has to win the award for most convoluted game name at the Expo. I don’t know where this sits in with the story of the other games, but the section I played saw our favourite superhero chasing Catwoman across roof-tops fighting thugs along the way. The combat in the Batman games has always been brilliant, and I was fearing that it might lose a little something in the transfer to the Vita. It doesn’t, it is as brutal as ever with the systems of making combo and reversals feeling as tight and spot-on as ever. I would probably have a great time playing this if there was only the brawling aspect of things, but there are elements of Detective mode present and I am sure there will be more gadgets than the grappling hook. For some reasons Bats can’t jump up walls in this outing, it might be a legacy of the side-on view, but the hook does the job. Finally I want to spend a few words on the Vita game that surprised me the most. Killzone: Mercenary has that honour for making believe that a first-person shooter can actually work, and work really well, on a handheld like the Vita. 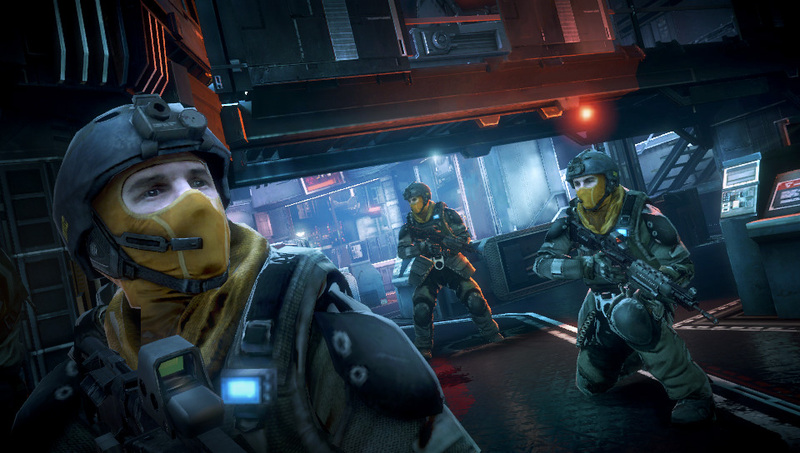 I’ve never played any Killzone titles before, but if the multiplayer action is anything like as fun as it was in Mercenary, then I might have been missing out on a lot of fun. It looked like a real game, not some half-arsed port with shoddy graphics. No, this looked to be up there with WipeOut for pushing the little handheld to the limit. Running around the multi-layered multiplayer level was great fun and the action was perfect. It worked much better than I imagined it would on the small analogue sticks and generally just really impressed me. Sony’s Vita looks like it is coming on strong and with the upcoming launch of the PlayStation 4, I can see a bright future ahead for it. If the indie titles continue to appear on it as they have been and the AAA support continues it will offer a very good alternative to the under the TV consoles. When combined with the PlayStation 4 itself, I would hope for even better. I simple Don’ understand for what VITA sells só bad, his lineup is far better that the lineup do the Nintendo 3DS.